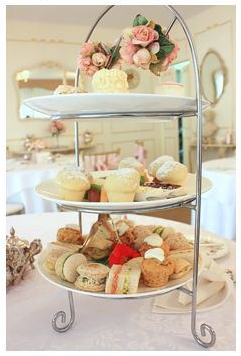 During the fifteen years (1997 to 2012) when I was editing and publishing TeaGuide Worldwide Tea Directory, it was a rare tea room review we received that did not include a detailed evaluation of the scones that were served: whether they were too small or too large, too hard or too doughy, or happily just right. Scones are arguably the most popular component of a traditional afternoon tea, and tea drinkers do expect them to be just the way we like them! The first scones were cooked up in Scotland in the early sixteenth century. These were essentially griddle-baked raised oatcakes, formed into large rounds and cut into wedges for serving. Nowadays scone bakers more often use wheat flour and cut the scones into rounds with a biscuit cutter or drop-shape them into rounded mounds. Recipes for scones generally call for butter and either milk or cream, and are served with clotted cream, butter, and jam. Someone once told me that the whole point of scones is to provide a foundation for holding as much cream and jam as possible! 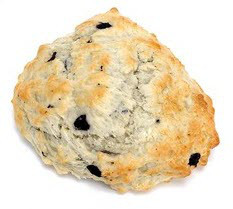 Vegans — or anyone who is watching their cholesterol intake, is lactose intolerant, or is allergic to eggs — can make our own scones by substituting vegetable shortening and non-dairy milk for the dairy products. I prefer using coconut or palm oil shortening (Spectrum Organics makes several varieties that are available in natural food stores and many supermarkets) and plain soy milk, although you can use vegan margarine, light vegetable oil, rice milk, and almond milk. If you prefer a scone mix, be sure to read the ingredients carefully; many incorporate dairy products. I like the mixes from Victorian House Scones – especially their oatmeal variety. The VHS website even features mixing instructions for a vegan variation, provided by yours truly. I also like that these scones are baked in the original wedge shape. The following recipe for scones came to me from my friend ~Sophia. Whether you’re a vegan or not, give it a try – they’re absolutely delicious! And remember: One properly eats a scone just as one eats a dinner roll: break off a bite-sized piece, add “embellishments,” and pop it in your mouth. Repeat. Repeat. Repeat! Cut in the shortening, margarine, or oil with a pastry cutter until the texture is crumbly. Add the milk and maple syrup, stirring until blended to a soft dough. Knead the dough for a minute or so on a lightly floured board until smooth. Pat or roll to a thickness of one-half inch. Dip a large biscuit cutter (or the rim of a ten-ounce drinking glass) into flour, cut out rounds, and place each round onto the parchment. Shape any leftover dough into a round with your hands. Bake for twenty minutes or until golden brown. Serve warm with your favourite topping. I like to accompany these flavourful scones with an assertive tea such as a rich nectar-y Assam. Fortunately, 2014 was an excellent year for Assams, like this tippy Meleng estate tea. If kitty’s health keeps improving I’m hoping to present a round-up of my favourite Assams in the next week or two. Meanwhile, if you decide to fix a batch of these scones, do let me know how you like them. 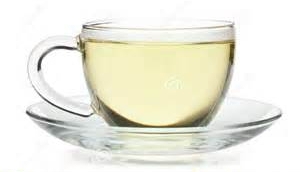 We’re pleased that our posts are included in the Tea Blog Posts at World of Tea!